We are very excited to announce our brand new Ukulele Club! This weekly class gives young students the opportunity to pluck their very first notes and strum their very first chords in a fun group setting. The ukulele is incredibly popular the world over, and it is an ideal first instrument for smaller hands. Ukulele Club is perfect for students who might want to try the guitar once they get older, or for little musicians who just want to have fun learning something new! Ukulele Club, directed by Mr. Andrew, meets Thursdays from 4:15 pm – 5:00 pm and is open to students age 4 – 6. Regular tuition for the 12-week semester is $300, but enroll by January 15th to SAVE 20%, bringing the total to just $240! Register today for Ukulele Club! Ukulele Club is open to students age 4 – 6. 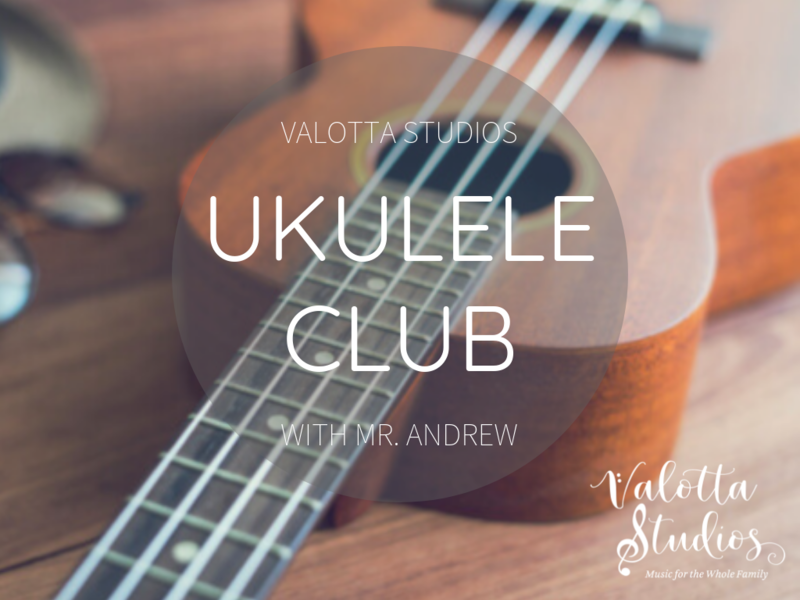 For more information on our Ukulele Club class, including pricing and enrollment, call our office weekdays at (484) 639-5751 or email us at Info.ValottaStudios@gmail.com today!